One of the toys that Molly Mew got for Christmas was a Catit toy. It is a long curvy toy that has a ball inside that they can swat at. The ball goes back and forth with ease. At first, she just stared at the toy but once ma started touching the ball to go back and forth Molly took interest. She still wouldn't play with it but enjoyed watching ma play with it. After it sat there for a couple days, Molly reached in and tried to get the ball out of the toy. She succeeded and played with the ball in the hallway for a long time. Ma put the ball back in the Catit toy and made sure the top was on it securely. Molly tried to take the ball out again but couldn't. That ball started going back and forth spiking her interest. After a day of play , this has became her favorite toy. She can play with it for long periods of time. We will have to go back to where ma bought it and see if we can find attachments to further Molly Mew's enjoyment. It was well worth the investment. 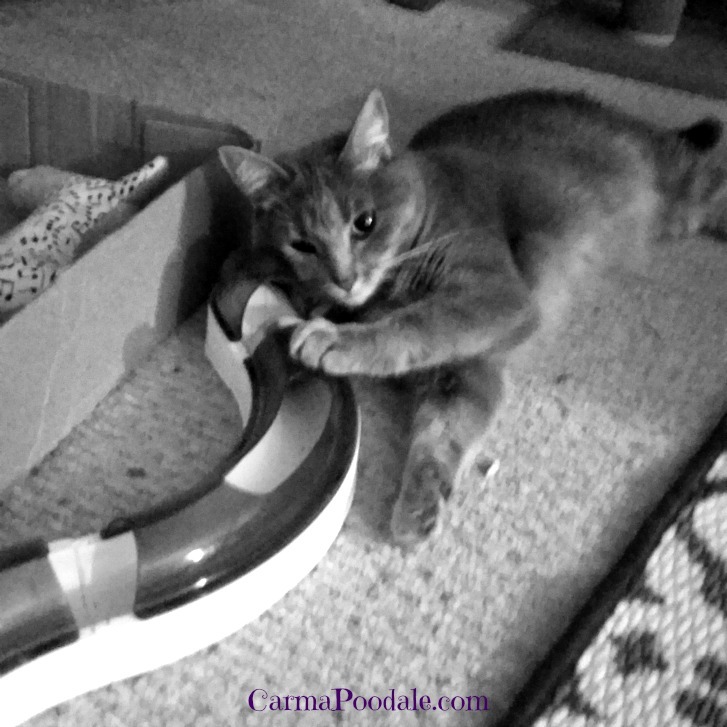 Do your cats have a favorite toy? I learned about the Catit line while at Blogpaws in Nashville Tenn. last year. One of my kitty friends named Summer tried it out and really seemed to enjoy playing with it. We found our Catit at TJ Maxx and ma said it was worth a try. 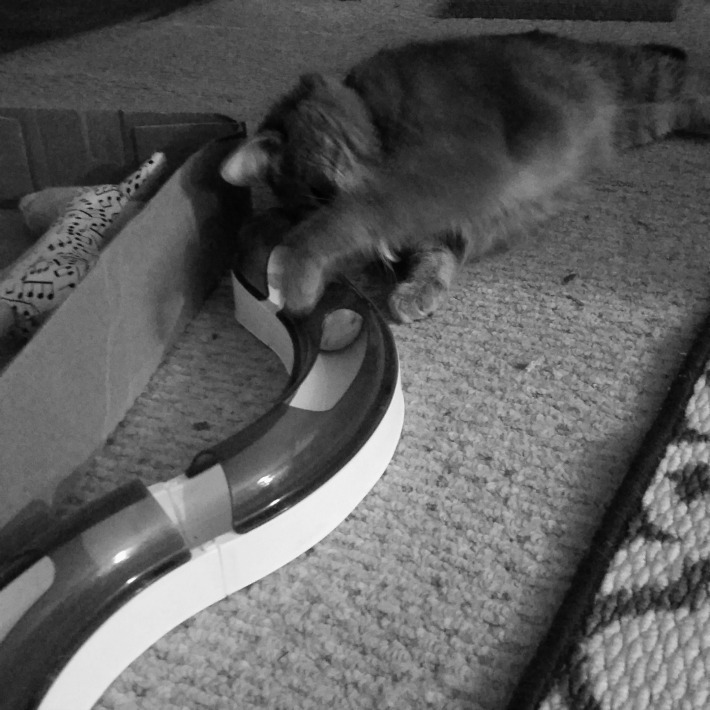 We are so glad that she bought it because Molly Mew really does love playing with it. It took Molly Mew a couple of days to play with it and she would only play with it when ma played with her. Now it entertains her for long periods of time. Molly's other favorite toys are pom pom balls. Only balls she will play with. That sure looks like a super fun toy, Molly Mew!!! She says it is. She won't allow me to play with it. Do you have any of the add ons?? Would love to have recommendations on which addon to purchase first.